To live the dream, you need to build the dream. And in our case, also photograph and video-record the dream. Because dreams rarely come true without lots of hard work, and for us that includes not only installing all the go-fast goodies, but also testing them so that we can report on how well they fit and how well they perform on our FR-S. And that’s exactly what Peter and I have been up to the last few weeks, as we start to really sink our teeth into the Targa prep work. 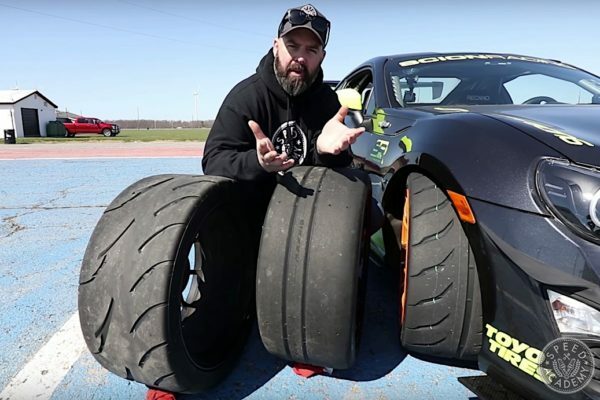 You may have already seen Episode 2 of our Targa FR-S video series, where we showed you the first few upgrades we’ve installed and where I was soundly beaten by the younger and fitter Peter in a race to see who could get strapped into the car fastest. 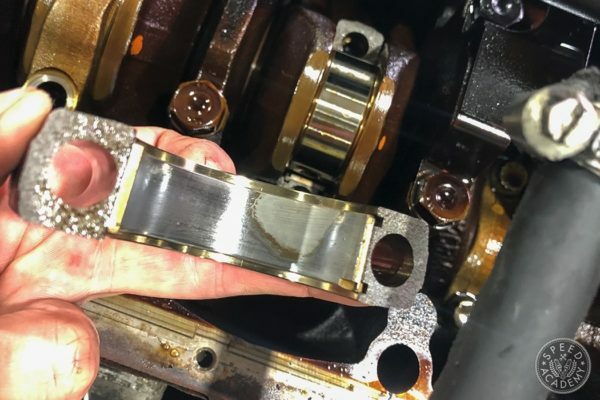 And now, thanks to the infinite space of the Internet, I’ll give you a bit more of an in-depth look at the Recaro Profi SPG racing seats, the Takata Race 6 HANS harnesses, and the Buddy Club Super Low Down seat rails. 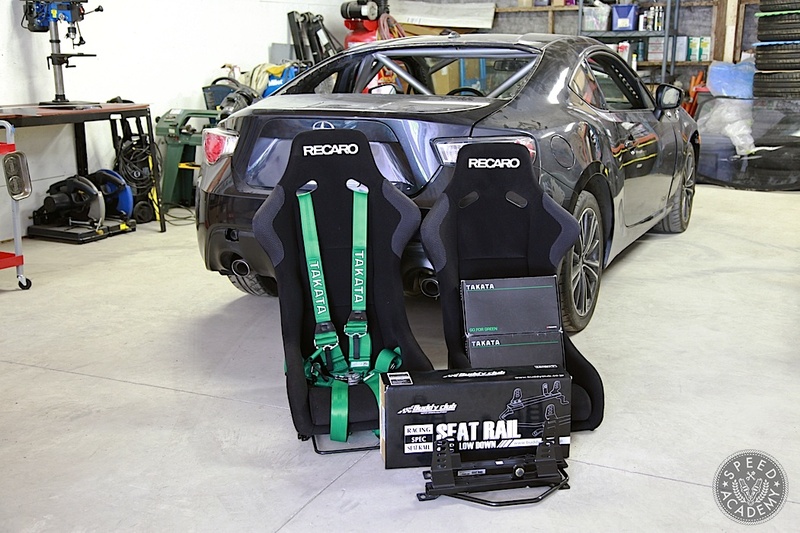 For an event like Targa Newfoundland, we really needed a high-quality racing seat that would give us the security and comfort needed during this 5-day, 2500-km test of man and machine. 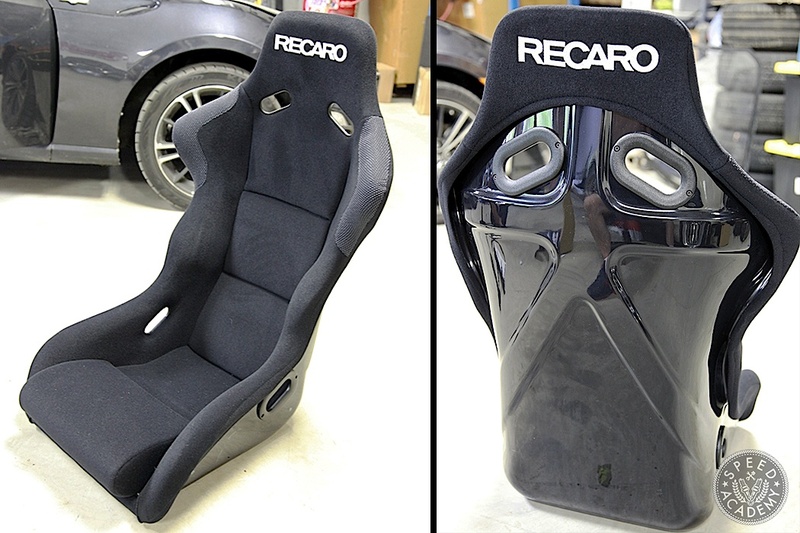 And since Targa cars must be street legal and easy to get in and out of (an average of 10 stages per day), we also wanted a racing seat without the head restraints that you often see in full-blown race cars these days. 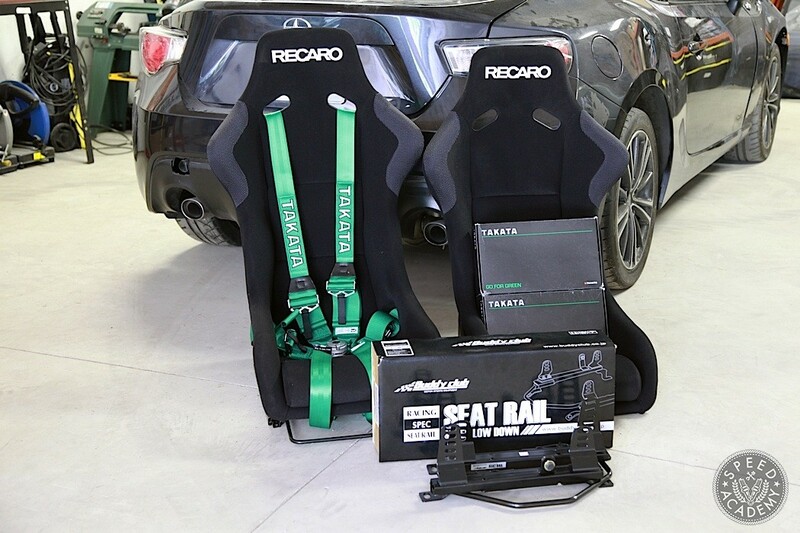 You really need to think of a Targa car as a hybrid between a rally car and a road car, which in our view makes the Recaro Profi SPG the perfect fit for our needs. Don’t get me wrong, though, these are a fully certified FIA/SFI racing seat, so they’re still totally suitable for a race car. 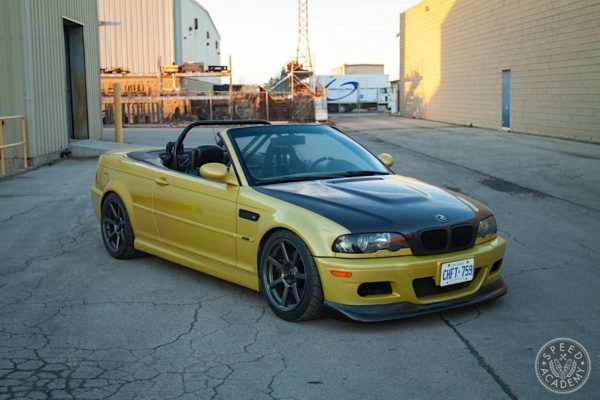 But because the side bolstering isn’t too extreme, they’re really very easy to get in and out of for a racing bucket. 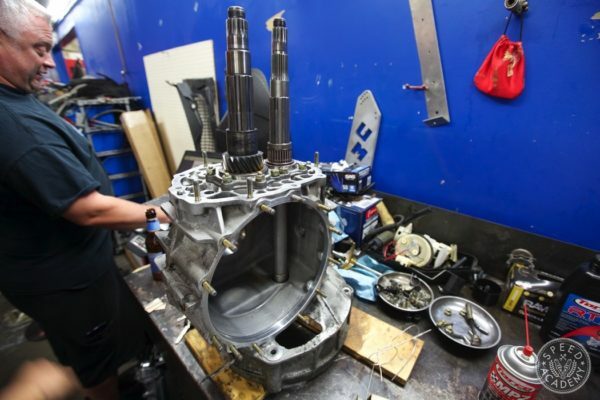 Their FRP construction also means they’re lightweight (14 lbs) and still quite affordable ($999) for a high-quality, German-made, FIA-legal seat. 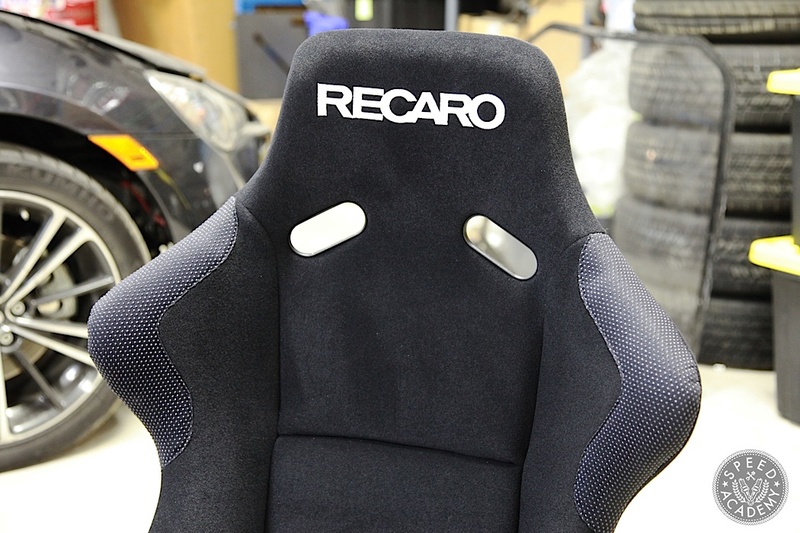 We’re also really impressed by all the attention to detail Recaro has put into these seats, from the screwed on harness pass-thru surrounds to the grippy material on the shoulder supports and the way the shoulder harness slots are angled to fit driver’s of different torso heights. We also find them to be a nice size for our body types — they fit Peter perfectly and although I could use a slightly wider seat for maximum comfort, I still fit into these quite nicely despite being about 215-lbs of man-bear (we’re both about 6-feet tall). 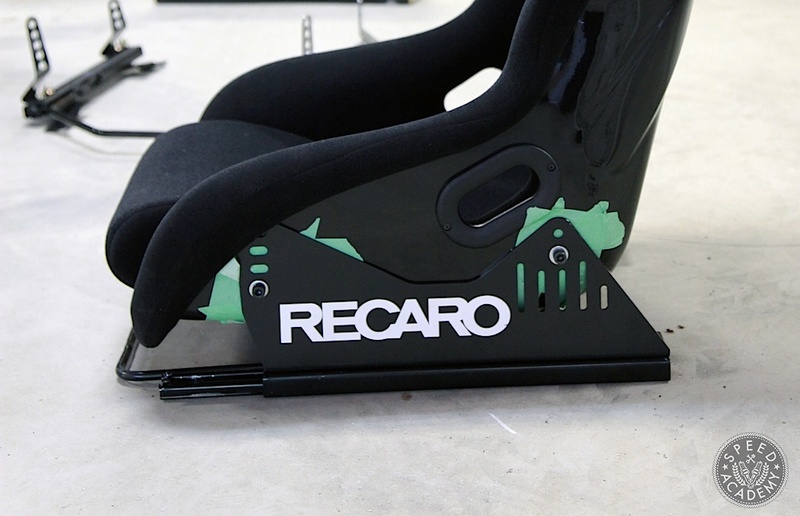 It’s also worth noting that the Recaro side mounts are FIA approved as well, so if you’re racing in a series that requires both a FIA seat and mounting solution, these are the way to go. 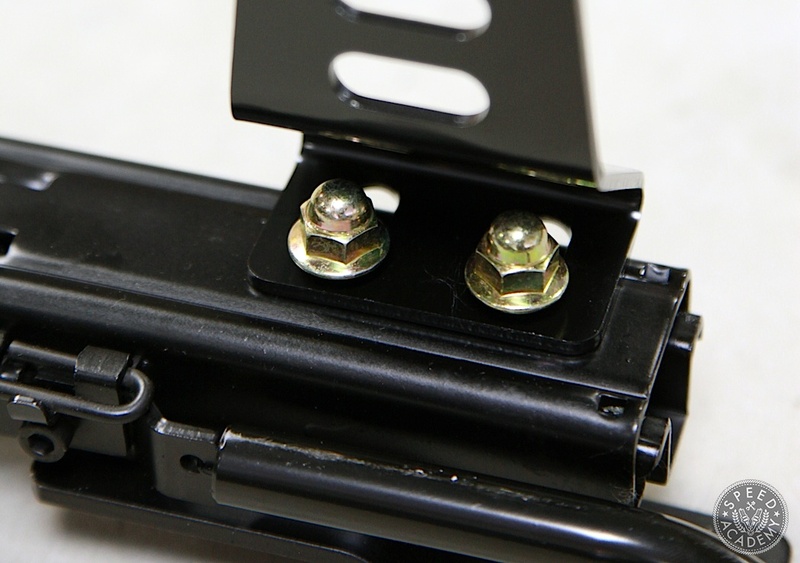 And although the Recaro side mounts have a lot of height adjustability, as you can see with all the slot and hole options, we didn’t have as much headroom as we wanted in the FR-S using these mounts, so we rang up our friends at Buddy Club USA for a pair of their Super Low Down seat rails. 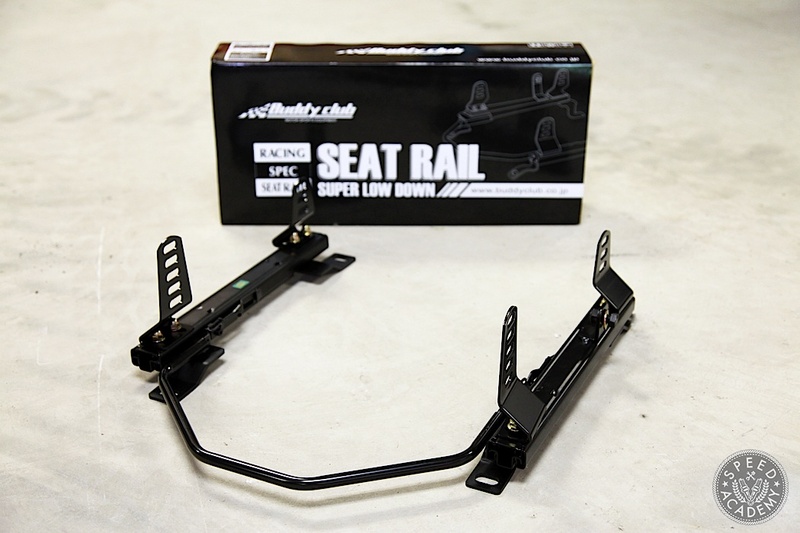 As you can see, the Buddy Club rails live up to their name by using a very compact side mount setup that lowers the seat significantly, while the sliders are designed to bolt directly to the factory locations on the floor of the FR-S. 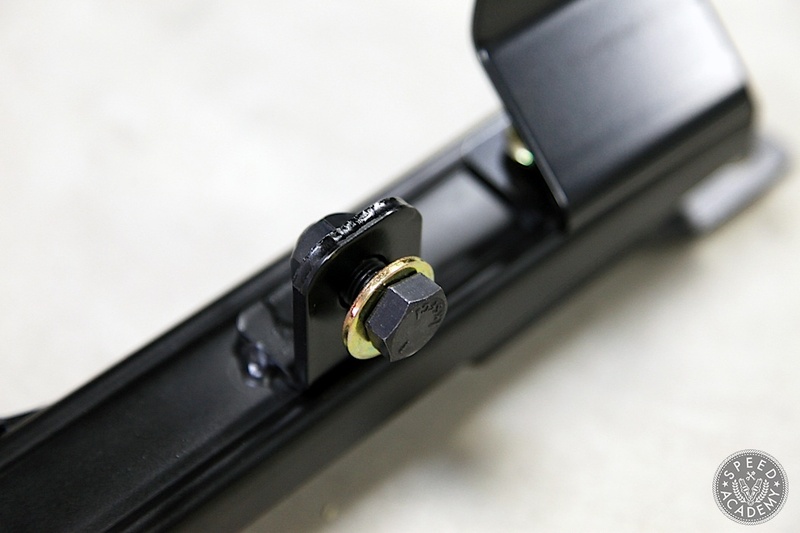 These rails have a lot of adjustability built into them too, both because of the 5 side mounting holes on the front pieces and 3 on the rear pieces, but also because the bolt holes where they attach to the sliders are slotted. 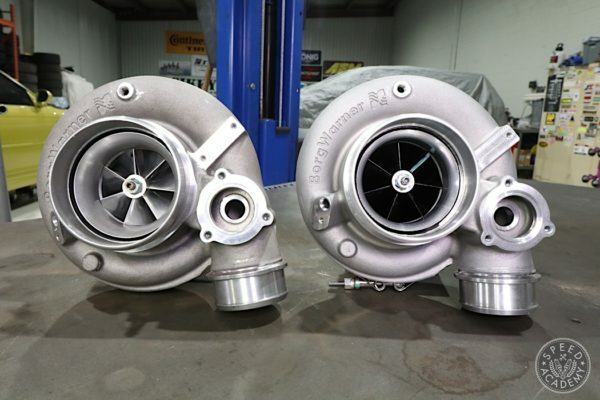 They’re also very reasonably priced at $175 (actually, our friends over at Evasive Motorsports have them on sale right now for $160). 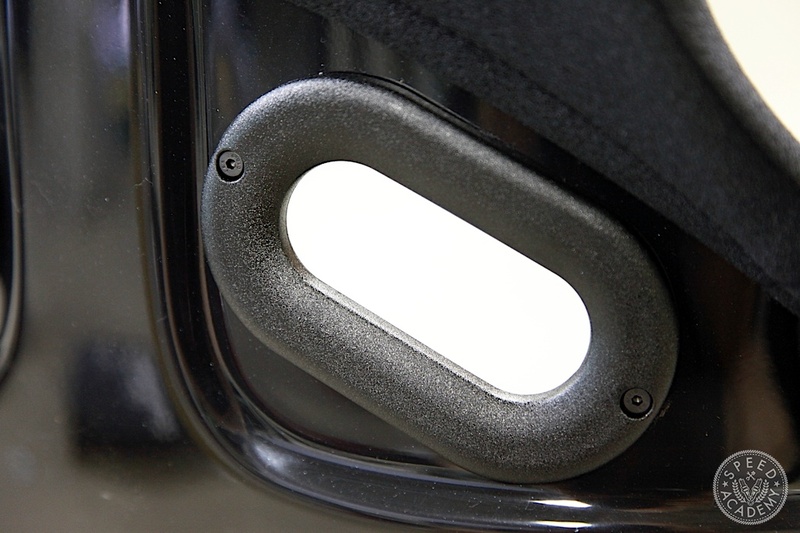 This allows you to mount just about any standard size racing seat to the Buddy Club rails, and it also allows you to centre the driver’s seat in front of the steering wheel or sneak both seats over towards the centre tunnel so that you’ve got better clearance from the roll cage door bars, which is exactly what we’ve done. 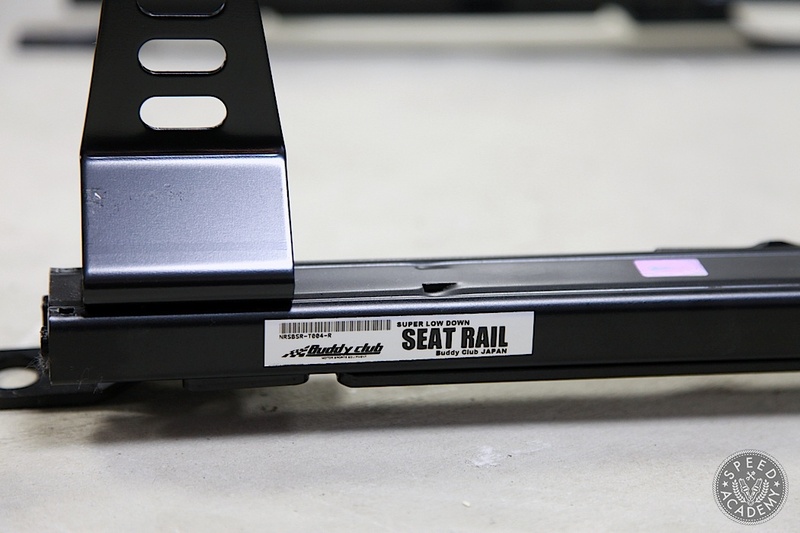 We’re also using the factory seat belt buckle mounting point that Buddy Club includes on these rails with our Takata Drift III snap-on 4-point harness on the driver’s side. This is a street-legal harness we’ve stolen out of the RX-8, so it’ll keep us out of trouble while we drive the FR-S around town during the build process, but we’ll be swapping the Takata Race 6 HANS harness back in prior to Targa Newfoundland since the rules require at least a 5-point harness. More on the harnesses in a bit.